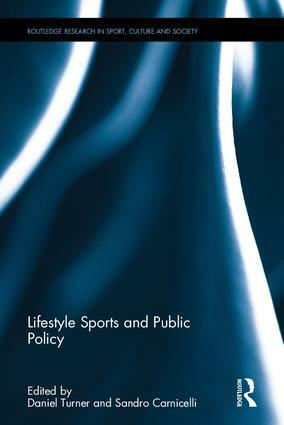 Lifestyle Sports and Public Policy is the first book to develop a comprehensive understanding of the interplay between lifestyle sports and the public policy environment which frames and regulates them. Drawing on a wide range of lifestyle sports from across the globe, including parkour, skateboarding, mountain biking and climbing, it identifies the critical issues facing practitioners and policymakers as these sports become increasingly popular. Part I examines public sector bodies that provide lifestyle sports opportunities to the public, either through funding partners or by managing facilities themselves. Part II looks at the use of lifestyle sports to promote policy agendas such as improving public health, while Part III considers the impact of public sector regulatory actions on the lifestyle sports industry. Each part contains case studies which investigate a policy issue from the perspective of a different lifestyle sport, including some sports which have traditionally been under-represented such as rodeo and curling. This book is a valuable resource for anyone with an interest in lifestyle sports, leisure studies, sport tourism, leisure management or sport policy.